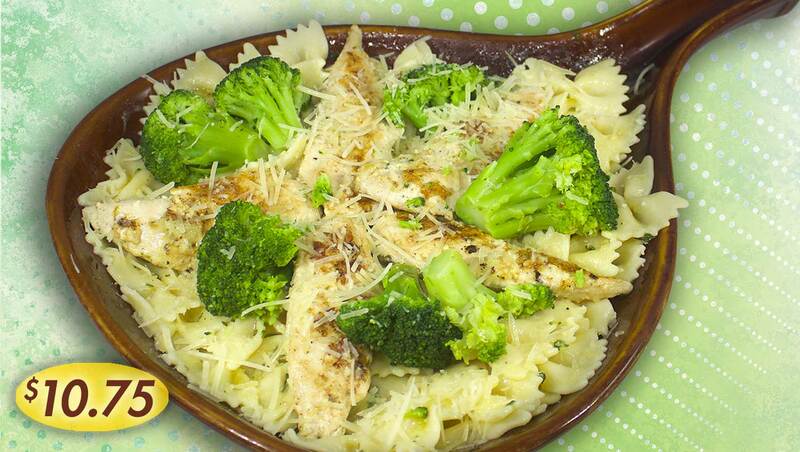 Bowtie pasta with grilled chicken tenderloins and garlic Parmesan sauce topped with our fresh grated Parmesan cheese and broccoli. 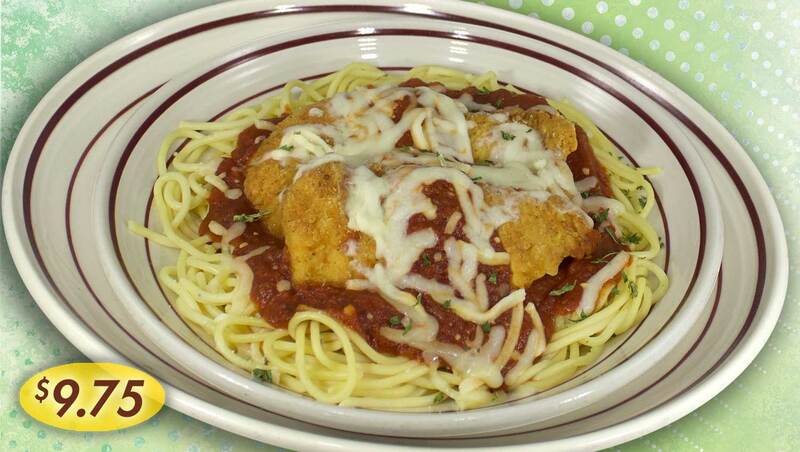 Spaghetti with a tender, lightly breaded chicken breast & topped with Provolone cheese & pasta sauce… with our fresh greated Parmesan cheese. 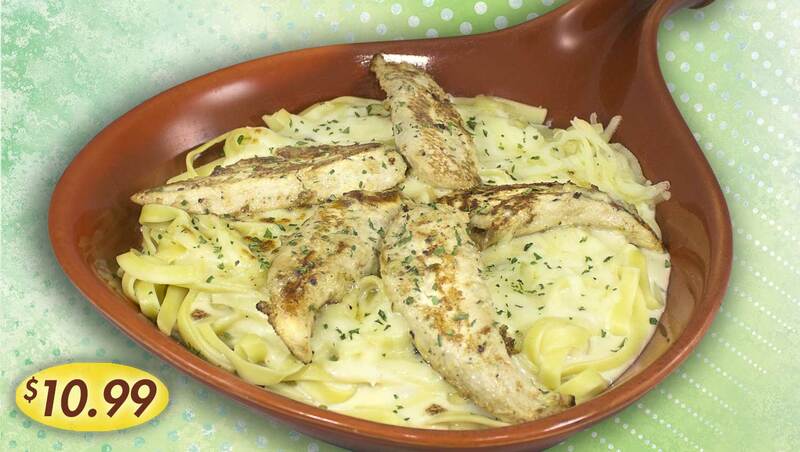 Fettuccini with grilled chicken tenderloins and Alfredo sauce… topped with our cheese blend. 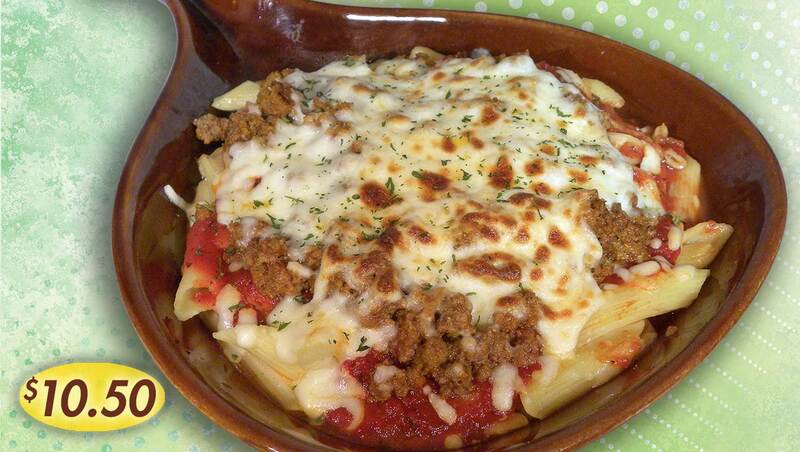 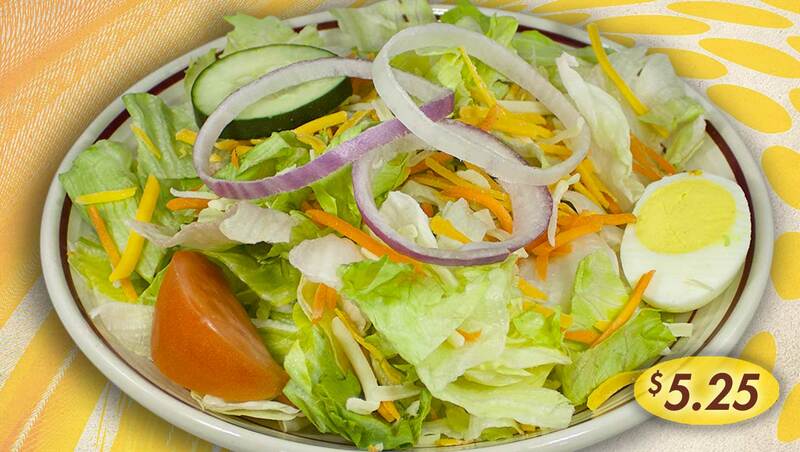 Fresh, tasty meat sauce and our cheese blend… baked to perfection. 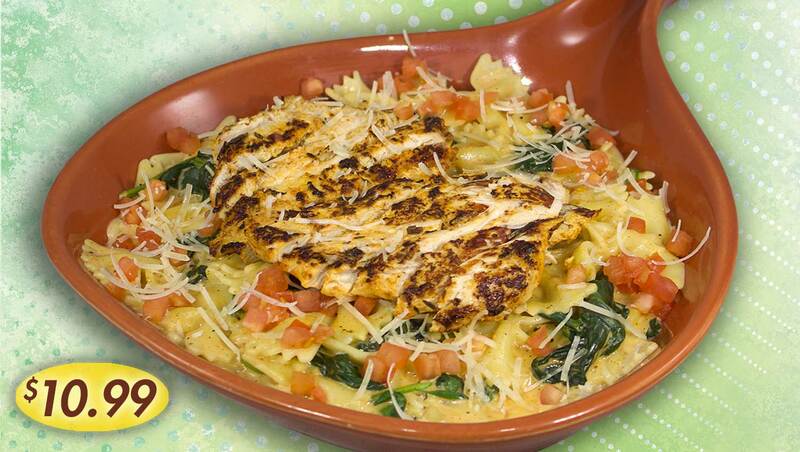 Bowtie pasta and spinach with a grilled chicken breast and kickin' Cajun cream sauce topped with diced tomatoes & our fresh grated Parmesan cheese.